These are just a few of our bingo card designs that we have done for others. 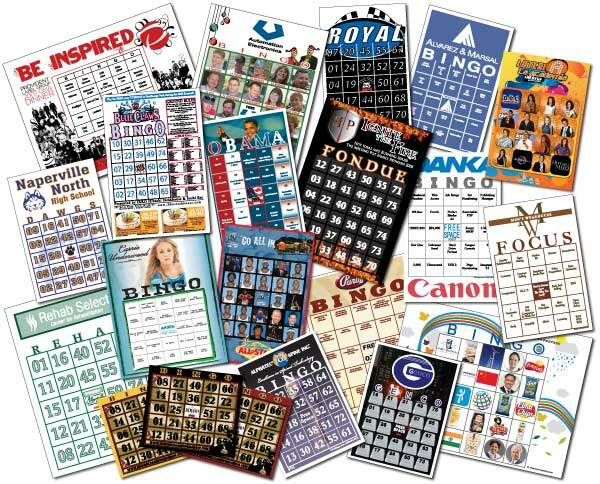 Call us to receive a price quote for a custom bingo card design, just for you with your logo, crest, or whatever else you may choose to have printed on your card. Standard size for all custom cards are 5 1/2" x 7". Or you may opt to go with our Jumbo print, which stands at 5 1/2" x 8". However if these are not to your liking, give us a call and allow us to design a size and shape that is all your own.